Christmas is right around the corner, and we all know what that means - food, glorious food! Unfortunately, it’s also probably the worst times of the year in terms of excessive food waste and meat consumption. 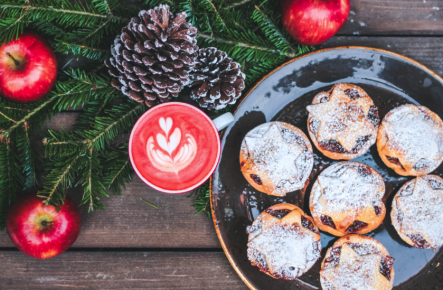 Wondering what you can do to make this Christmas a little more eco and animal friendly? We’ve put together some sustainable dine in and out options for this winter! We just can’t get enough of our friends over at the Grassroots Pantry and the wonderfully good things they do with food! 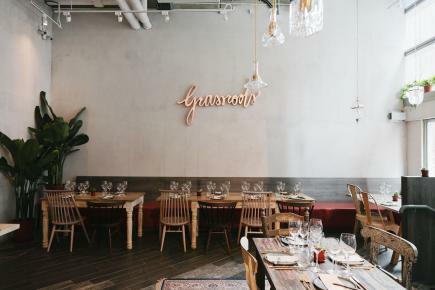 From koji smoked carrot crepes and beetroot gnocchi, to indian tikka flatbread and raw tiramisu, their incredibly curated dishes are bursting with a variety of flavors suitable for even the pickiest of palates! Fancying something more fun and unique? Shoot them a special menu request three days in advance at info@grassrootspantry.com to see what yummy magic the team can conjure. If you’re looking to escape the crowds, they’ve recently partnered with Deliveroo to bring healthy, delectable meals right to your doorstep! Situated in serene soundings and furnished with a Chinese-style wood interior, one look at the location and you can see that the peeps at Pure Veggie House are in tune with nature and harmony! Their constantly evolving range of contemporary Chinese vegetarian fare has a strict no MSG, dairy, or extra spices policy, ensuring that food served always tastes incredibly fresh and pure. Christmas specials include a winter vegetarian hot pot served with organic veggies and the Matsutake series, which boasts health benefits like lower cholesterol and increased immunity system. It’s always a full house at the Pure Veggie House so interested parties be sure to make your reservations early! Bringing food straight from the farms, to the kitchen, and right onto your table, Locofama’s all day menu offers delicious organic food sourced from local, chemical-free produce. With mouth-watering dishes such as the spicy spinach quesadilla, cauliflower risotto with organic egg and the organic coconut chicken with quinoa, it’s no wonder Locofama receives raving reviews from the veggie and non-veggie community alike. Dog lovers will be happy to know that their furry four-foot friends are more than welcome to enjoy Christmas dinner together in the lovely outdoor seating space. Express delivery is also available on Deliveroo for those who’d like to enjoy these organic treats from the comfort of their dining rooms. Be sure to also check out their store, ‘The Marketplace’, for eco-friendly and sustainably sourced produce, home goods, and pet food! Doing some extremely last-minute Christmas dinner grocery shopping? 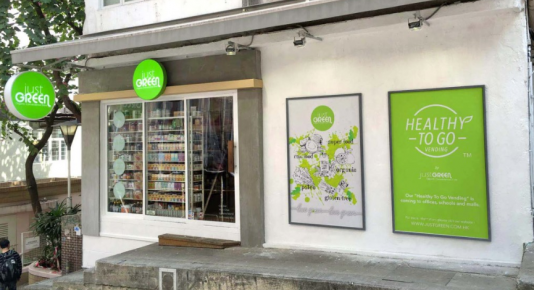 With a selection of over 10,000 organic and allergy-free goods, the Just Green Organic Convenience Store is just the place to go and grab some healthy products. 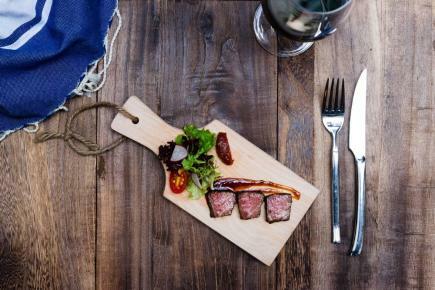 Items range from meats and greens, to bread and wine, all produced and distributed with sustainability in mind. Cooking for a large group and can’t step away from the kitchen to visit one of their nine locations? They provide free delivery services for orders over HK $800 and charge only HK $80 for orders below. Go have a look on their website to see what’s on offer this December! Thanks to Hong Kong’s many high-end supermarkets, finding eco-friendly ingredients for Christmas dinner may be easier than you think! Three Sixty, Taste, Oliver’s, and City Super all offer a vast range and variety of fresh, high quality Asian and Western groceries to help you locate that special condiment from home. Give friends and family that extra push needed to go green by wow-ing them with a scrumptious home-cooked meal made out of fresh organic produce! If you’ve somehow accidentally ordered ten person’s worth of food for four, don’t let it go to waste! Ask for a take out box and save yourself a trip to the supermarket by having it for lunch or dinner the following day. Let’s make this Christmas a different one by eating smart!